Pumpkin French Toast is like having pumpkin pie for breakfast. This pumpkin stuffed french toast loaf is perfect to enjoy on a Sunday morning. If you like pumpkin spiced everything, then this french toast recipe is for you! It is the last day of #pumpkinweek and I have saved the best pumpkin recipe for last. Let me refresh you on what #pumpkinweek is! #PumpkinWeek 2018 hosted by Love and Confections and A Kitchen Hoor’s Adventures! This year is even bigger and better than ever with a giveaway! Thirty nine bloggers from around the country are showcasing their best pumpkin dishes. Get ready for Fall with over 130 pumpkin recipes throughout the week including cocktails, main courses, pizzas, pastas, pastries, breads, muffins, and plenty of desserts! Our PumpkinWeek Sponsors are helping us give away some great prizes. Thank you so much, Sponsors, for your generosity. We have an incredible giveaway below and we’d love if you would take a moment to read about it and what you can win! 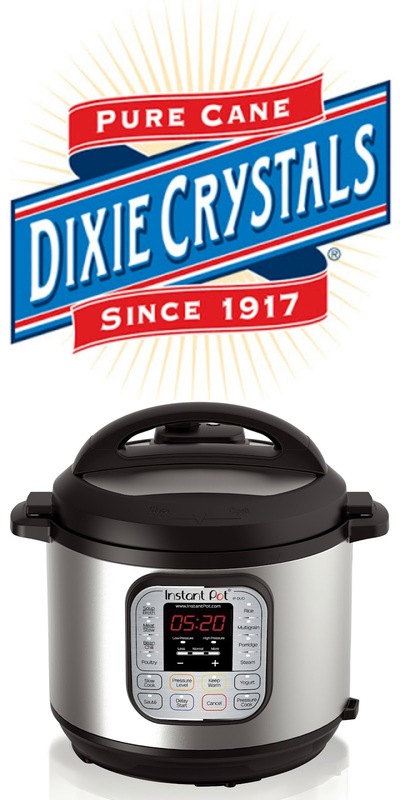 Prize #1 Dixie Crystals is giving one winner a 6-Quart Instant Pot 7-in-1 Multi-Use Programmable Pressure Cooker, Slow Cooker, Rice Cooker, Steamer, Sauté, Yogurt Maker and Warmer. Since 1917, Dixie Crystals® has been the South’s choice for high-quality sugar and sweeteners. For generations, Dixie Crystals has been at the heart of family traditions and celebrations. 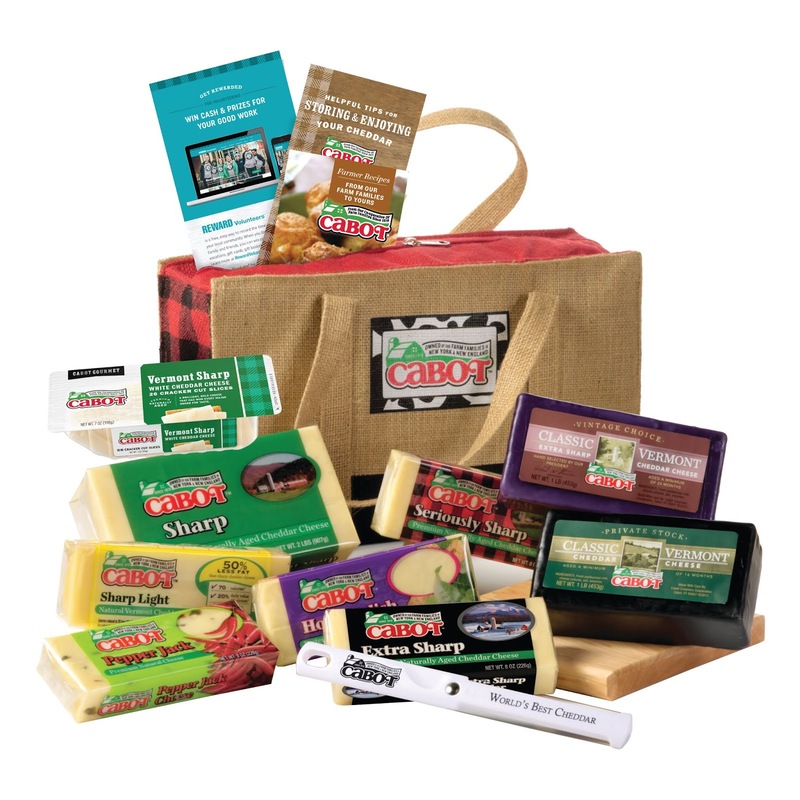 Our pure cane, non-GMO sugar products guarantee that treasured family recipes will turn out right every time. Bake with love and Dixie Crystals. Prize #2 Cabot Creamery Co-operative is giving one winner a Cheese Gift Box, including a selection of Seriously Sharp, Pepper Jack, Sharp Light, Extra Sharp, Horseradish, Private Stock, Vintage Choice, and Sharp cheeses, VT Sharp Cracker Cuts, Burlap & Plaid Bag, Thick & Thin Slicer, and Wooden Cutting Board. Prize #3 Eggland’s Best is giving one winner an Eggland’s Best Kitchen Essential Prize Package that includes a Freezer Bag, Whisk, Spatula, Plush Phone Holder and Cleaner, Plush Egg, Recipe Book, 3 Free Months of Eggland’s Best Eggs and Cutting Board. Eggland’s Best eggs have more of the delicious, farm-fresh taste you and your family love – any way you cook them. Plus, Eggland’s Best provides superior nutrition such as 6x more vitamin D, 10x more vitamin E, and double the omega 3s compared to ordinary eggs so why settle for less? I am redoing my old blog, The Recipes Of Disney and one of the popular recipes on the old blog is the French Toast Loaf. I have made Disney’s French Toast Loaf so many times, that it really is my favorite Disney recipe to make. I decided to take that Disney recipe and make it a pumpkin stuffed French toast. I debated on how I wanted to create the pumpkin filling in this french toast recipe. I wanted to keep the pumpkin stuffing to be simple. After a lot of debate, I felt just doing a pumpkin pie filling would be perfect for this french toast. So grabbing a can of pumpkin pie filling would be the simply filling recipe I was after. You know I am originally from PA. One thing diner item that any Penn State College kid knows is grilled stickies. It is this cinnamon fried dough thing that is amazing. Well, I found out, the leftover pumpkin french toast, the next day if I fry the slices in butter, it makes pumpkin grilled stickies! Which in my opinion is yummy! Pumpkin French Toast is like having pumpkin pie for breakfast. This pumpkin stuffed french toast loaf is perfect to enjoy on a Sunday morning. Spray a bread pan/ loaf pan with a cooking spray. Make the pumpkin pie filling according to the directions on the can. Set it aside. Mix the cream, eggs, vanilla and pumpkin pie spice together for the batter. Place a tablespoon of butter on each slice. Pour a little bit of the pumpkin pie filling on top the bread. Top with another slices of bread. Pour some the batter over the bread. Do the butter, pumpkin, bread, batter again. Keep repeating the layers until you get to the finish with the bread and pour the remaining batter over the French toast loaf. Press loaf down so nice and compressed in the pan. Bake in a 350F oven for 1 hour. Take out the oeven, remove the foil. I would press the breads down as I layer this up. I find that works the best. If I find I have extra butter left when I get to last layer, I just place it on the top the loaf. Disclaimer: Thank you PumpkinWeek Sponsors: Dixie Crystals, Cabot Cheese, and Eggland’s Best for providing the prizes free of charge. These companies also provided the bloggers with samples and product to use for PumpkinWeek recipes. All opinions are my own. The PumpkinWeek giveaway is open to U.S. residents, age 18 & up. All entries for the winner will be checked and verified. By entering you give the right to use your name and likeness. The number of entries received determines the odds of winning. Three (3) winners will be selected. The prize packages will be sent directly from the giveaway sponsors. The PumpkinWeek Bloggers are not responsible for the fulfillment or delivery of the prize packages. Bloggers hosting this giveaway and their immediate family members in their household cannot enter or win the giveaway. No purchase necessary. Void where prohibited by law. This promotion is in no way sponsored, endorsed or administered by, or associated with Facebook, Instagram, Pinterest, Twitter or any other social channel mentioned in the PumpkinWeek posts or entry. Love stuffed French Toast and this version sounds amazing.